Chewbacca (Peter Mayhew) and Han Solo (Harrison Ford) as pictured in the upcoming Star Wars film: Star Wars: The Force Awakens. Photo credit – Dale Jackson (Flickr). The next Star Wars movie, The Force Awakens, arrives in cinemas on the 15th of December. To celebrate the return of one of the biggest movie series, here are five fan theories about the Star Wars universe that might blow your mind. Be aware of minor spoliers. Collected from the sub-reddit /FanTheories, where users post their thoughts about aspects in movies and series that are not explained. You may have thought about these yourself, but some of the theories presented at this sub-reddit will change the way you look at your favorite movies. “There’s in universe explanations you can read all about it here, it’s pretty cool stuff, basically they use synthetic crystals rather than natural ones like the Jedis, and over time it became a cultural tradition. These are all viable explanations, and it makes sense thematically, but they’re missing out on a key fact for why red is ultimately better for their purposes.” «nameless88» writes. Because of our anatomy, red light doesn’t effect our night vision as much.. Assuming that most sentient races in Star Wars evolved like us (visually a lot of them are similar to us, I’d definitely call them humanoid), I think it’s okay to assume that their internals are kind of wired like us, too. I think part of the reason we’re not as sensitive to red light is because we orbit around a yellow sun and we adapted to be sensitive to the wavelengths it pumps out the most, but I’m not entirely sure about that, I think I had an astronomy professor tell me that once in class, though. Yellow stars are pretty common, so it’s totally possible they could evolve similar to us based on their circumstances. A red lightsaber is pretty much the perfect weapon color for anyone that would like to sneak in to a place in the dead of night, unsheathe their sword for a quick stabbing, and then retain their night vision after sheathing it again and slinking off into the darkness. One of the Siths on the movies, Darth Maul and his signature red dual lightsaber – Photo credit Phil Long (Flickr). I think this is due to his internal anatomy. It is safe to assume that the humans (Anakin, Windu, Luke) and the Humanoid Darth Maul have the same type of circulatory system as we have. This is called a closed circulatory system. Blood circulates through the body via blood vessels (veins and arteries). We have a lot of internal flesh and tissues, which are burned when a lightsaber cuts through. The same for the blood vessels. By burning the blood vessels with a light saber, they are closed which inhibits the bleeding. It is more or less the same as cauterization, an ancient medical practice used to close amputations. 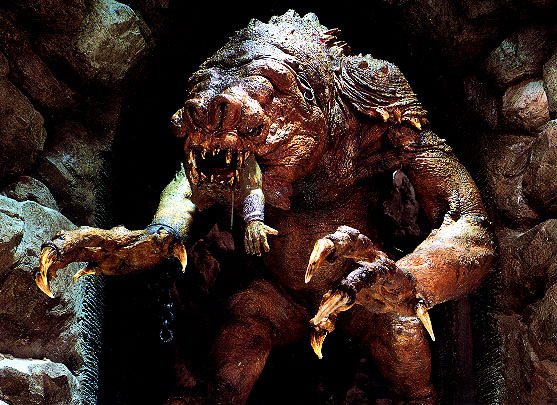 Ponda Babba has, in my theory, a completely different anatomy. He has an open circulatory system, like arthropods (Spiders and insects). This means that the blood doesn’t flow through vessels, but is collected in a much larger body cavity named the hemocoel. To simplify: Baba is kind of a walking can of blood. A light saber might cut off his arm, but the hemocoel is to large to cauterize. Small blood vessels might be closed by burning the surrounding tissue, but not a big blood cavity. To add credit to this theory, Wookieepedia mentions that Baba is Aqualish an arachnid alien! Arachnid = spider-like and spiders (in the real world) have such an hemocoel. Even the non Star Wars fans can recognize Darth Vader’s, the main villain in the movies. He speaks with a rather robotic voice but at a point in Episode III: Revenge of the Sith he yells “NOOOOOO”, and his voice sounds like just an amplified normal human voice. Reddit user «spikesya» thinks he or she has the solution for this change in voice. Vader’s voice is not simply an amplified version on what he says, its more like a Stephen Hawking system whereby a computer recognizes what Vader is trying to say (His voice is probably extremely damaged and unrecognizable), then basically says it for him. This is why his voice does not sound like a normal person. OK, so he wakes up with the Emperor and within a few seconds is told that not only is his body completely destroyed making him almost a slave to his suit and by extension, the Emperor; The entire motivation for all that led him to this point, his wife, is dead because of his actions and her unborn child is also lost. Vader breaks free of the operating table and takes a few steps before doing the only thing anybody in his position could do, he screams an unholy, bloodcurdling scream. His vocal computer has nothing close to this sound in its database so it translates it to the infamous ‘Noooooooooo’. If you think about the scene in these terms it actually adds to the tragedy of Vader. Even his agonized scream is now entirely reliant on machinery. Obviously there’s a lot of stuff going on in the Star Wars movies that is not possible in our world. 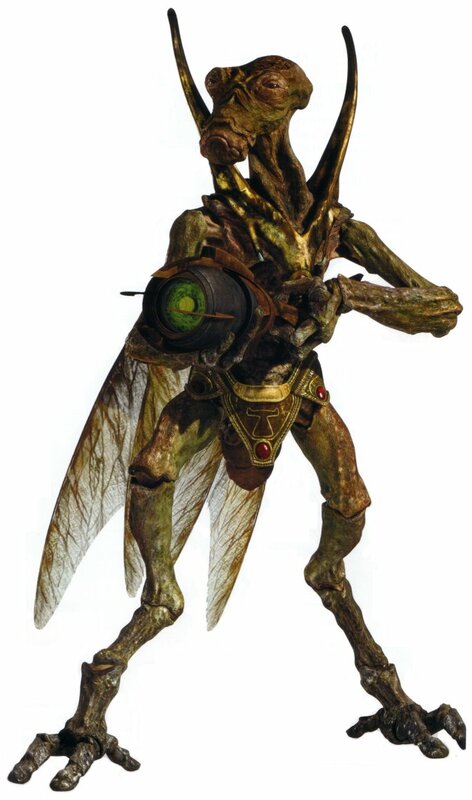 Not only «The Force» which lets Jedis manipulate their surroundings and even other creatures just with the help with their minds. What about the floating vehicles? All the Jedi’s acrobatic movements? Reddit user «thesamtc» believes all this is made possible because Star Wars is set in a miniature world. And his arguments makes a lot sense when you think about it. My first thoughts were sparked by a Calvin and Hobbes strip (sorry can’t find a link). 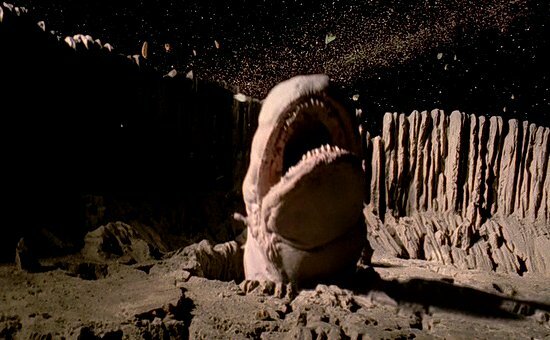 Some time later while watching ‘A New Hope’ i noticed how many of the supposedly giant creatures had insect-like qualities, hard exo-skeletons, joined bodies and simple often toothless jaws. 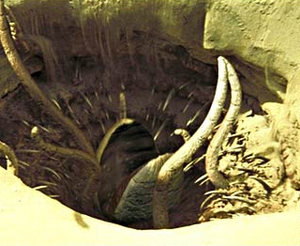 noteably the Sarlacc, the Rancor and the Exogorth. Insects on our planet have these qualities because at their dimensions it provides the most effective weight to energy requirement ratio. An ant can lift a huge multiple of it’s own weight but if an ant were our size it’s exoskeleton would crush it’s internal organs. 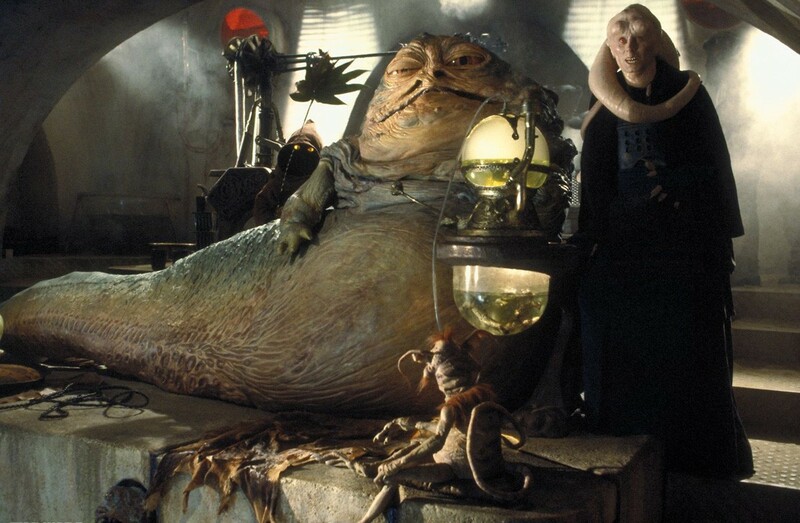 So how could these traits be possible within a multitude of enormous creatures in the star wars galaxy? if the sentient being were tiny of course. Among the numerous lightsaber battles depicted in the Star wars films, the one that tends to garner the most laughs and not counted as the best depicted fight- would be first one we see- between Obi Wan and former apprentice Darth Vader. It’s no triumph of choreography, they tap swords and lightly spar like- almost toying around like two friends almost playing rather than two enemies honestly trying to do the other one in- but that would be missing the point. That’s because it’s not a fight, it’s a conversation. It’s an attempt at communication under the guise of Jedi/Sith protocol. See a Jedi: Draw lightsaber. See a Sith: Draw Lightsaber. It was mandatory. In truth- the fight could probably have been over in seconds- Vader overpowering Obi Wan rather quickly- but instead they hold a rather lengthy conversation with one another. Vader, gloating at his gained strength and Obi Wan sending his message of warning. Also Obi Wan never intended to make it off the Death Star. His sacrifice was deliberate- meant to allow him to pass on become a stronger force to aid Luke, as well as to create the perfect distraction to keep Vader from focusing on the real problem; Luke and Leia escaping.